Sometimes good things come to those who wait, that certainly seemed to be true for one of our couples tonight. Want to know more? Read on. DNA forensic analyst Chelsea, 24, is looking for a chemical reaction. She’s looking for someone taller than her, someone trendy with facial hair, and someone who can make her giggle. Chelsea’s date is Alex, who can woo ladies by pretending to talk Italian. He’s 25 from Hertfordshire. Alex has been under a lot of pressure to find a girlfriend. His granddad is worried that he’s gay, because all of his siblings have partners. Chelsea and Alex didn’t seem to have the best flowing banter, but Alex did manage to get away with using fake Italian on Chelsea without her realising. 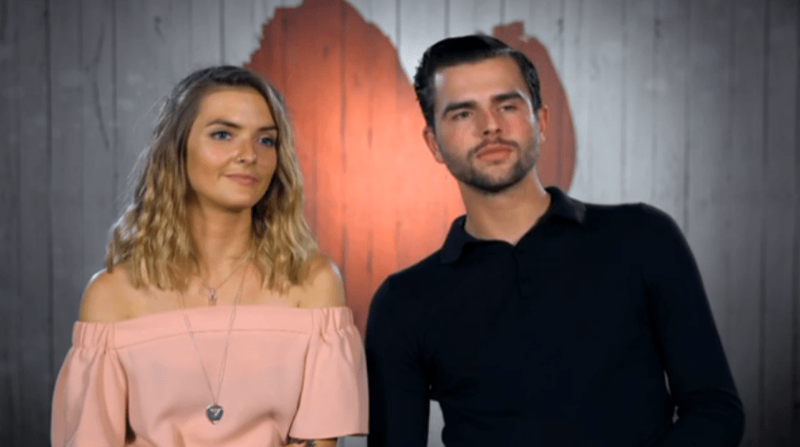 Chelsea also managed to turn most of Essex against her during her date, after she said being told she looked Essex was the worst thing that he could say. Chelsea has trust issues with potential partners, but Alex seemed to tick all the boxes. Alex, on the other hand, has never had a girlfriend and said he’s never fallen in love either. He says he’s happy as he is, but he’s waiting to be swept off his feet. Chelsea might not have been able to sweep Alex off his feet, but she could use hers to do a trick or two. Chelsea’s party trick is that she can undo a banana with them. Something Alex claims he can do too, but we never saw the evidence of this. Which is just as well, the audience were split on whether this should be seen in such a classy establishment. To be fair it was less cringe than them feeding each other desserts. Of course the two were up for seeing each other again, and the two seemed to have got even closer second date around. Hurrah! 51-year-old divorcee Colin is one of Epsom’s finest office furniture dealers. Colin’s work is never done, even offering a deal to Merlin on a good office chair. Colin’s main concern was the fact that he only has one leg, and has lived with that since he was very young. Whenever women reject him he gets hung up on whether or not it’s because he only has one leg. He even admitted to having nearly 100 dates without any success. Colin’s date is healthcare professional Tracey, 50, from Oxford who was set up by her daughter Amy. She turned up with her daughter, and they’re often mistaken for being sisters together. Tracey’s attitude to life is that at 50 life begins here. She’s looking for someone to spend her evening together with, especially after a hard day’s work. Her marriage had lasted twenty years until one day she found out her husband had been seeing her best friend. Colin was very insistent everything from the evening was paid for by himself, despite Tracey’s reluctance. He followed the offer up by suggesting Tracey paid for the second date. The pair found each other very friendly, and honest too, so it looked all set for each other to meet again. They had two more great dates, but have decided after giving it all a go, they’re to end up remaining just friends. Tailor “Riki The Hat” seems to have a thing about wearing his hat everywhere, he had to even ask whether it was respectable to wear the hat at the dinner table or not. Fred advised against it. Riki claims that he’s the only guy to have ever seen The Notebook with a girl and “not to have shagged her”. So if you happen to be in a room with Riki when he’s watching a romance, best to do a runner! Riki’s date is fashion expert Queenie, 30, and from London. Queenie is very dedicated to her job, so she hasn’t had much time for dating. She was impressed by Riki’s hat (simple things), so it was a good start for the pair. Riki has reason for sounding quite cocky – he relies on making people laugh to make up for what he describes as an ugly body. His stretch marks are a major issue for him, and has had problems with his weight, so he tries his best to win girls over using humour. He doesn’t think it works very much, he’s usually friendzoned. Both Riki and Queenie had gone through their parents splitting up at an early age, which provided ammo for the two to bond. It seemed the difficulties in their childhood meant they were both looking for something meaningful from a date. Unfortunately, by the end of the evening Queenie had decided she didn’t feel the connection, and poor Riki was friendzoned again. That was until two weeks later, when Riki tried once more for a second date, and Queenie agreed! Get your hat, you’ve pulled! 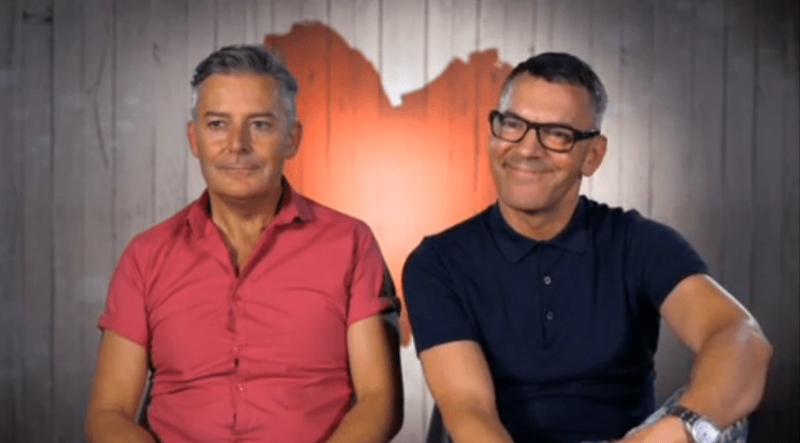 52-year-old Manchester teacher Will is very much a traditionalist when it comes to dating. Will has been single for nine years. He describes himself as an “island” and now wants “to become a continent”. Will’s date is personal shopper Des. He’s 48, and also from Manchester. Will seemed very particular. He didn’t like Des not having a button undone on his top, he didn’t like his sleeves being rolled down. He struck me as a bit of a perfectionist – he’d hit the botox and seemingly had his teeth done too. Des had been engaged before, and had his heartbroken by his partner. Now he’s nearing 50 he’s hoping to celebrate alongside a partner. Will seemed to enjoy winding up Des throughout the evening, it was difficult to work out whether the two would hit it off. As a teacher it feels like Will wasn’t letting his guard down. By the end of the date Des had decided he didn’t want to see Will again. He was very polite about it, Will less so. He said hearing the rejection was the best thing he’d heard all night, and that Des didn’t even feature in his Top 20 favourite people. Des hit back by saying “it was like trying to crack open a 1000 year old crab”. 18-year-old waitress Danielle from Oldham works in Nandos. She is very old school, and wants to be wined and dined by her date. While she’s only eighteen, she has a very old fashioned view of dating. 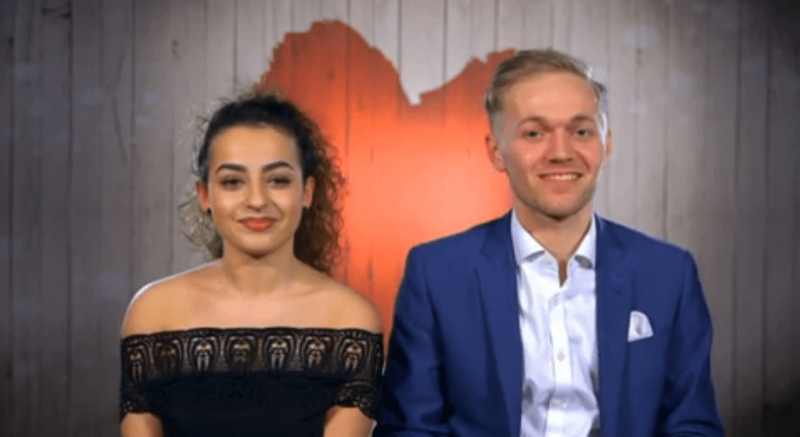 23-year-old Tom also lives in Manchester, and turned up looking very smart, and seemed to immediately put a smile on Danielle’s face. While Danielle seemed grown up with dating, she seemed less so when it came to the other important things in life. She would rather go out shopping and buying bags rather than focusing on mortgages or a home. Still, Tom seemed to be a charismatic determined guy. He studied abroad for university, he wants to start his own business, and has a city centre home. He even paid the bill by cash. There was some confusion at the end of the evening when asked if the two would see each other again. In response to going first, Danielle said no, only for Tom to assume she was saying she didn’t want to see him again. Thankfully, the two worked out they did want to see each other again, and they both continued their date well into the night, and are regularly dating! 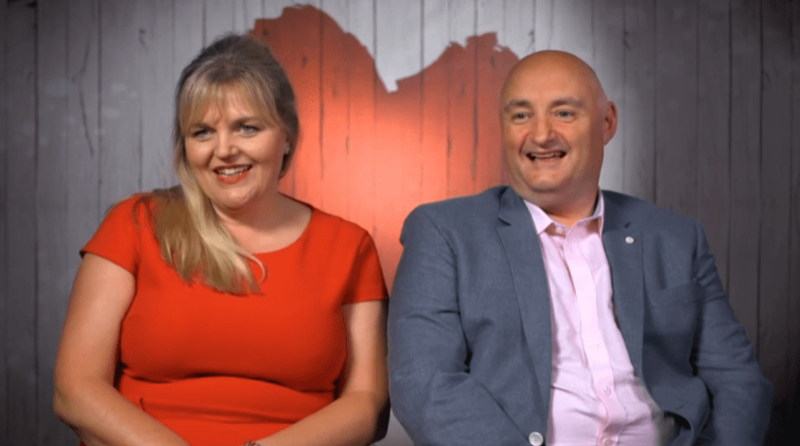 First Dates is back on Monday 28 November at 10.00pm. 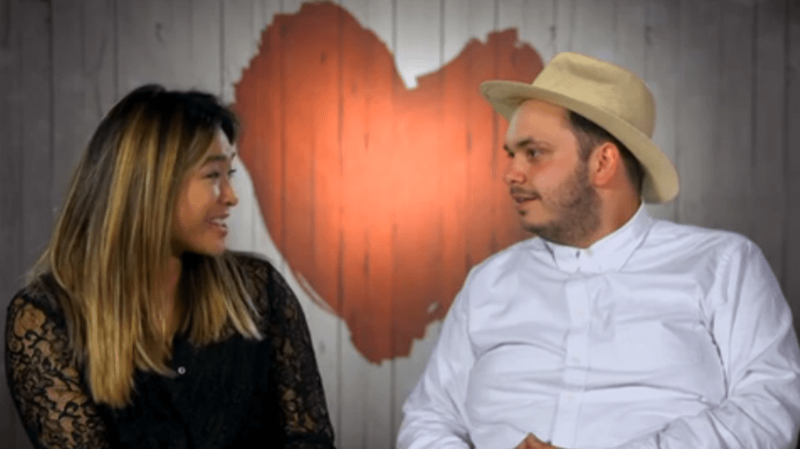 Meanwhile watch more First Dates on catch-up on All4, and read more reviews of this series of First Dates on my blog.